Every now and then a film comes along that seems so vast and wondrous, no movie screen can contain it. 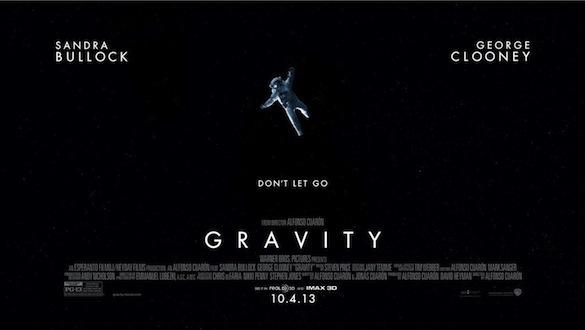 Alfonso Cuarón's Gravity is one of those films. The 3D thriller, starring Sandra Bullock and George Clooney as astronauts adrift in space after a shuttle accident, is the perfect story for IMAX. "I think it's the best space photography ever done, I think it's the best space film ever done," IMAX advocate James Cameron said of the movie. Gravity's stunning visuals aside, it seems impossible to replicate the (no pun intended) gravity and intensity of the terror of space without a format like IMAX. That critics, like our own Erik Davis, are praising Gravity as "something we can talk about for years; something that changes the way we consume entertainment" before its IMAX release is a testament to its power. In Gravity: IMAX Behind the Frame, we get to learn a little bit about Cuarón's philosophy behind the large-screen release. "IMAX was our bible," he states, referring to the IMAX Hubble documentary he consulted during production. "It's as if you're in the center of an orchestra," the director later comments as we watch bodies and debris swirling in blackness.